Go straight to the head of the class if you’ve ever noticed this blog has a slogan. 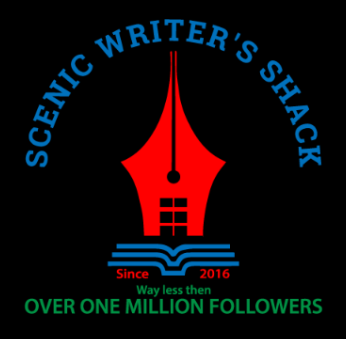 Now that Season 2 of Scenic Writer’s Shack is underway, I’ve been thinking maybe it’s time for a little nip’n tuck in the tagline department? Someone once observed (someone whose middle name was most likely ‘Marketing’) life isn’t about finding yourself – it’s about creating yourself. With that thought in mind I’m wondering if “Words. Wares. Woomph.” still carries the same woomph it did a year ago. 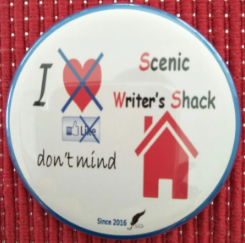 The issue came up at the inugural performance review meeting that Scenic Writer’s Shack was the focus of last week. The suggestion was made that the slightly ‘Homemaker-ish’ sounding tagline that presently greets readers might be better replaced with something a little more dynamic and alive that didn’t sound so much like an unintended homage to Ikea or Costco (take your pick). Here’s a list of 50 new ones my usually asleep-at-the-wheel marketing department came up with. They’ve asked if I’d test-audience them here now for the purpose of coming up with some type of shortlist to be put to the board of directors next month. While it’s obvious some of these were conceived towards the end of the day possibly after injesting magic mushrooms of one variety or another, there’s a few I reckon that might just have the right amount of X Factor or as they say in French ‘jene sais quoi’ to get them over the line. You Wouldn’t Take Driving Lessons From A Blind Fellow Would You? What A Funny Place Man! If you’re done with the non-stop head-scratching that a number of those slogans no doubt induced, pick a favourite (or two) and let me know in the comments box below. In the absence of any guidance on the matter, and since there were actually 52 and not 50, as stated, I’ll have little choice but to opt for the non-static revolving sign system and choose a different slogan each week across this year from among the lot listed here. And that could likely end up quite absurd. 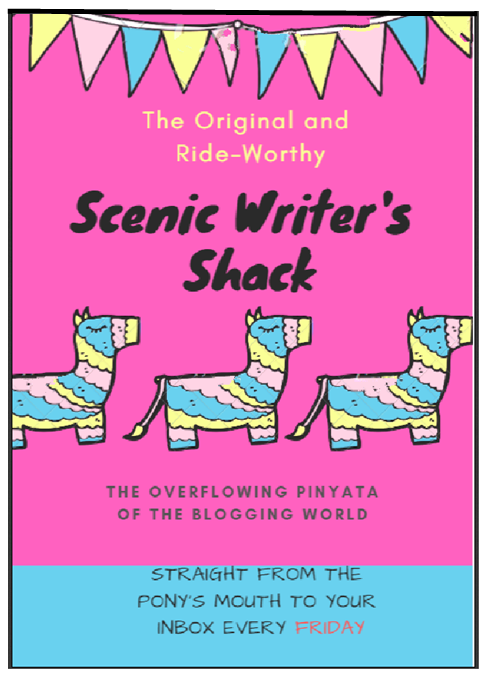 Any one of these could be the game changer that helps propel Scenic Writer’s Shack to the top of the blog A-list (‘A’ stands for asinine) but I just need to know which one. So please, go ahead and advise me! I promise this is not a post about the game of cricket. If it were, I know I might run the risk of a sizeable portion of the readership of this blog (I’m thinking here mostly of female and overseas followers) clicking off – maybe forever, never to return. This is a post instead dedicated to saluting ingenious plot lines in television shows – one show in particular. Before launching into that however, and since I’m already on the general playing field, I thought I’d chance a comment directed at saying how much I enjoyed this summer of cricket’s Ashes series. For those unaware, The Ashes are a series of cricket matches played between Australia and England. They represent one of sport’s oldest rivalries, the first game being played in 1882. Australia won convincingly the 2017/2018 series 4-0 (one match ended in a tie). Overall, the gap between the two countries for victories is very narrow. Of the 70 Ashes series played down through the years, Australia have won 33, England 32 with five series being declared a draw. During this most recent summer of cricket, ABC Television had the good sense to run a cricket themed episode of MIDSOMMER MURDERS (a British detective series that’s been going since 1997). The episode, titled LAST MAN OUT, featured a character murdered by the most unusual means. Fastened sucurely to the far end of an indoor cricket net, a bowling machine set on maximum speed then unleashed a procession of rockhard cricket balls – at ten second intervals – at the helpless victim, unable to move, in excess of 100 km an hour. A direct hit in the heart region is ruled the cause of death by the coroner in the show. I recall sitting through some pretty creatively choregraphed deaths while watching the slasher flicks of the 80’s (including one where Jason Vorhees (Friday the 13th) picked up by the feet a teenage camper still in his sleeping bag and repeatedly flung him against the trunk of a tree, like you would if you were dusting off a carpet mat. But death by bowling machine? I guess compared to the sleeping bag method you could at least call it a little more ‘team sports’ or ‘high performance’ orientated. If you had to. Compare, that is. ‘Fifty shades of fascinating’ barely begins to cover it. The high-definition, multi-angle level of interest – not to mention raw controversy – surrounding master director Ridley Scott‘s latest movie has baited a hook that’s been hard to look away from. The on-screen goings on are crazy-interesting for starters. This film depicts the real-life kidnapping back in 1973 of the 16-year-old grandson of billionaire oil tycoon Jean Paul Getty, who only seven years previously, had been named as the world’s richest man. More on that later. The other aspect to this film bumping up its interest factor are the off-screen events surrounding the unprecedented recasting of one of the film’s major supporting characters. In case you missed it, just seven weeks ago the film’s producers made the decision to recast the role played by Kevin Spacey after the actor became the subject of a slew of historical sexual harassment claims from roughly a dozen independent and unconnected claimants. This involved hiring another actor (88-year-old Canadian Christopher Plummer) to play Spacey’s role, requiring 22 scenes (400 shots) be filmed all over again. The crew is reported to have worked 18 hour days to complete the monumental feat which added $10 million to the film’s budget. Co stars Mark Wahlberg and Michelle Williams (ex partner of Heath Ledger) also agreed to come back to reshoot scenes together with Plummer. Filmmakers have had to reshoot parts of films before – two examples that come to mind are when Paul Walker died during a break in filming for FAST & FURIOUS 7 and when Oliver Reed suffered a fatal heart attack during a break from filming GLADIATOR (another Ridley Scott movie) – but reshooting a film to the extent that Scott undertook for ALL THE MONEY IN THE WORLD under the circumstances that prompted it and within such an insanely small timeframe, has never been done before. As to the drama on screen, there’s flood-level amounts of that as well – all of it depicting in accurate detail the true life events of the 1973 kidnapping and ransom demand. As history records it, at 3 a.m. on 10 July 1973, John Paul Getty III then age 16, was kidnapped from the Piazza Farnese – a building that today serves as the French Embassy in Italy – in Rome. He was blindfolded, transported, and imprisoned in a mountain hideout in the southern Italian region of Calabria. A ransom note was received, demanding $17 million in exchange for his safe return. When that ransom message arrived, some family members suspected the kidnapping was merely a ploy by the rebellious youngster (who had been previously expelled from Boarding School) as he had frequently joked about staging his own kidnapping to extract money from his notoriously frugal grandfather John Paul Getty. A second demand was received, but had been delayed by an Italian postal strike. John Paul Getty II asked his father, John Paul Getty, for the money, but was refused arguing that, were he to pay the ransom, his 14 other grandchildren could also be kidnapped. At this point the reluctant Getty Sr. negotiated a deal to get his grandson back for about $2.9 million. Getty Sr. paid $2.2 million—the maximum amount that was tax-deductible—and he loaned the remainder to his son who was responsible for repaying the sum at 4% interest. When it came to frugal, Dicken’s Ebeneezer Scrooge, Scrooge McDuck, Shakespeare‘s famous moneylender Shylock and let’s throw in Lady Mary Crawley from Downton Abbey fame as well, all had nothing on John Paul Getty Senior in the penny-pinching stakes. The kicker was – SPOILER ALERT – after his release from the kidnappers John Paul III called his grandfather to thank him for paying the ransom but Getty refused to come to the phone. Anyone interested in further reading on this topic is spoiled for choice. I saw this movie at Springfield Event Cinemas on the day it opened (yesterday) with 14 other people in the cinema. This is not a movie in any danger of setting box office records and if there’s such a genre as ‘Eccentric real-life billionaires’ biopics’ then I’d be inclined to say I preferred watching Leonardo DiCaprio portray American business magnate Howard Hughes in Martin Scorcese‘s 2004 film THE AVIATOR more, but ALL THE MONEY IN THE WORLD is a film well worth seeing if you have any interest in knowing more about the famous kidnapping or wish to see Christopher Plummer give an Oscar-winning acting performance. Ps. **Changing topic completely** – It was around this New Year’s time two years ago musician David Bowie passed away. Bowie was apparently a voracious reader and in tribute to that fact his son (Duncan Jones) has now started THE DAVID BOWIE BOOK CLUB. The idea is to read a different book each month from David Bowie‘s Top 100 Favourite Books list he compiled back in 2013. Those interested have until February 1st to read the first book selected which is English author Peter Ackroyd‘s HAWKSMOOR (published in 1985). After February 1st a discussion of the book will launch on Duncan Jones’s Twitter page https://twitter.com/manmademoon (he’s got a mere 328 000 followers).